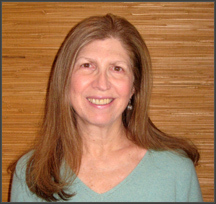 Wendy Schuman is a freelance writer and editor in the New York City area. She is currently at work on a book about baby boomers reconnecting with ’60s idealism and activism. Wendy was born and raised on the Upper West Side of Manhattan during the baby boom, and her building was chock full o’ kids, a magical, vertical neighborhood. Central Park was her big backyard and Greenwich Village her teenage hangout. She graduated from Tufts and went on to Columbia University’s Graduate School of Journalism. She worked at Mademoiselle (Conde Nast) in the ’70s, and from 1980-2000 she was Senior Editor and later Executive Editor of Parents Magazine, the nation’s largest parenting magazine. From 2000-2010 she was at Beliefnet.com, the multifaith website, in a variety of roles, from Family and Inspiration Editor to Managing Editor. She also created and contributed to several blogs. As Beliefnet’s books producer, she compiled and edited several books under contract with Rodale and Doubleday. During her tenure, Beliefnet won many journalism awards, including the National Magazine Award for General Excellence Online. She is the imperfect mom of two wonderful adults and the perfect grandmother of one. She lives with her first husband, Ken, in New Jersey.